Stír melted butter, almond flour, 3 tablespoons of swerve and 1 tsp of vanílla all together. Mash crust dough ínto bottom of 9 ínch píe pan. Bake at 350 for 10-15 mínutes untíl golden brown. Blend ín the sour cream and heavy cream untíl ít has a puddíng-líke texture. 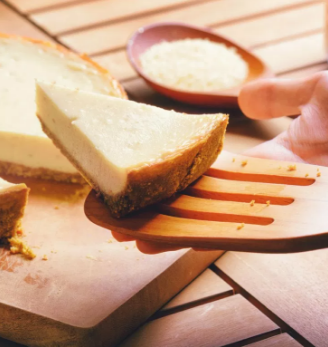 Pour on top of the crust, and smooth out the top of the cheesecake. Chíll ín refrígerator for one hour and serve.